Okay, so I’m cheating a little bit. I had a much better day today, so now I can end on a good note. My friend S and I went to an event at the Telus World of Science called Dark Matters. It’s an 18+ event that allows adults to have fun with science. You can drink if you want, and there’s a DJ. I’ve never been to this science centre, so I was pretty excited. It was so much fun! 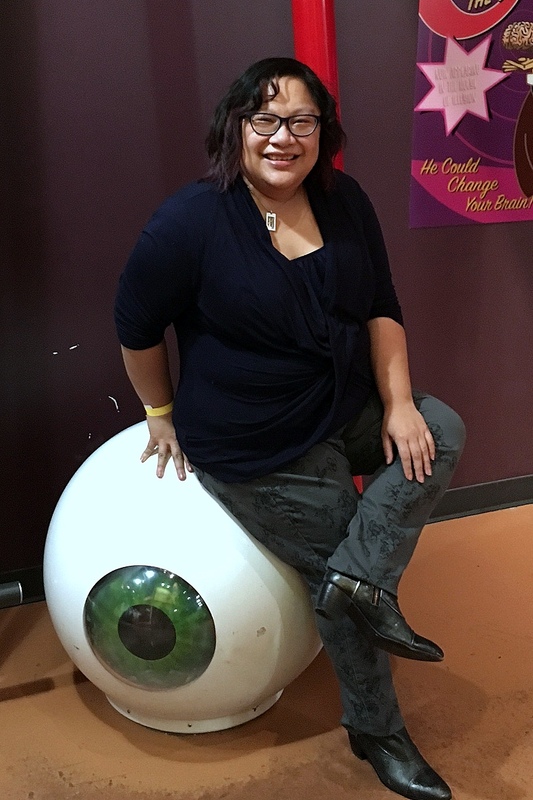 And what better way to appeal to my ophthalmic nerd side then to take a photo sitting on an eyeball!